In Scribblenauts, Death beats God, God beats Cthulu, and Cthulu beats Death. 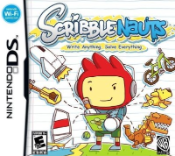 A lot of the buzz said that Scribblenauts was something unlike anything anyone had seen before. I think I even heard rumors coming out of E3 that if you typed "Cure Cancer" into the game you would actually cure cancer. In the grand scheme of things, though, Scribblenauts isn't a perfect cancer-curing video game, but it still has one of the most innovative ideas I've ever seen in a video game. Show me the fever, into the fire, taking it higher and higher! Let's get one thing out of the way first: This isn't like Kid Icarus. Despite the fact that the original name of NyxQuest: Kindred Spirits (Icarian: Kindred Spirits) is similar to Nintendo's long dormant franchise, Spanish developer Over the Top Games' debut game has little in common with Kid Icarus besides the subject matter. Awesome music and ultra violence go together well. For a long time, I lampooned Wet. With its humorous title, ridiculous premise, and publisher issues, there was a lot to make fun of. After spending some time with the recent release, I can safely say it proved me wrong. Wet has its issues, but its Tarantino-esque style makes it a raucous romp. Who knew Batman could be transformed into a third-person stealth Bioshock. When I first heard about Batman: Arkham Asylum, I thought it was too good to be true. 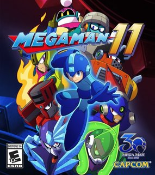 I figured it would end up being nothing more than a typical disappointing licensed game. Then the pieces started coming together: Kevin Conroy and Mark Hamill of Batman: The Animated Series fame were set to voice Batman and the Joker respectively, the combat seemed to capture the Dark Knight's signature style, and the story was being penned by prolific comic writer Paul Dini. At the end of it all, Arkham Asylum turned out to be one of the best licensed games I've ever played, and one of the finest games of its kind. Layton and his apprentice strike again. When playing the first installment of the Professor Layton series, I was intrigued by the twists and turns of the storyline, characters, and even the puzzles. 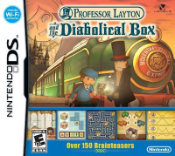 Its recently released sequel, Professor Layton and the Diabolical Box, had me wondering what intriguing story line they could possibly come up with. At every turn of the plot, I found myself remembering the first game and expecting those surprises to come through, but they didn't. In fact, even more interesting story lines emerged, retaining some much loved characters but adding in some others, such as Sammy. Long story short, Diabolical Box is everything Curious Village was and more.